It’s easy to see how many contributions have been made and how many people have contributed. The colors are good, but not great. The word cloud helps highlight the volume of people that have contributed. 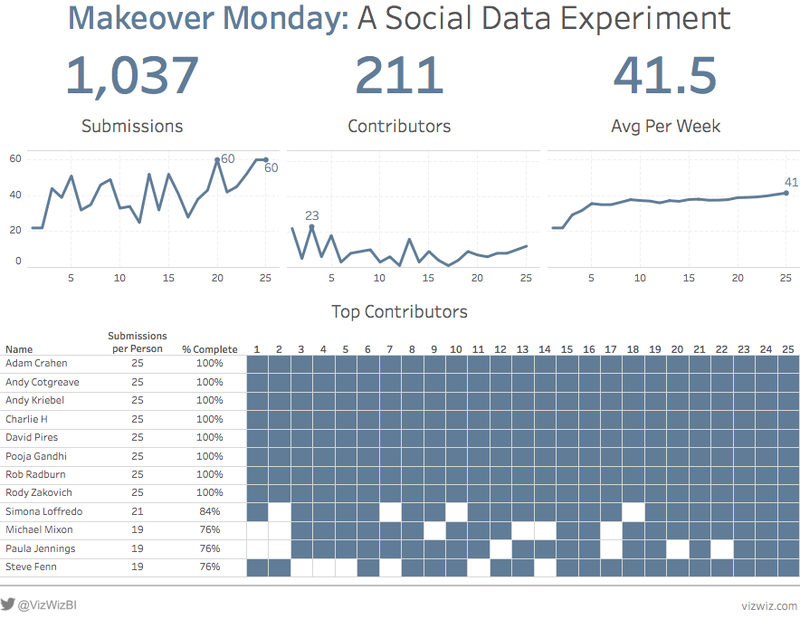 You can easily see which weeks had the best participation and which weeks drew the most new people. The heatmap on the 2nd tab does a good job of letting people see which weeks they have yet to complete. It’s too hard to see the overall figures. The 2nd tab should be incorporated into the first. The word cloud is too busy. The cumulative graphs don’t provide much insight. All that’s important is the final number. I don’t like the combination chart on the upper left. 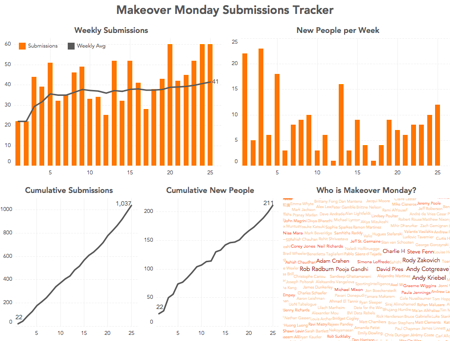 I built my makeover in Tableau 10 so all I can post is an image. If you’d like to have a look at it, you can download it here. I’m really excited to see what the Community builds. I’m 99.9% sure someone will come up with something that blows us away.